I’ve been a busy little bunny this Easter season, putting together lots of fun, easy, and delicious Easter dessert tutorials. Here’s a quick roundup of where to find them around the web. Whether you’re an experienced cake decorator, or just looking for a quick and easy project to make with kids, there’s a little something for everyone here! 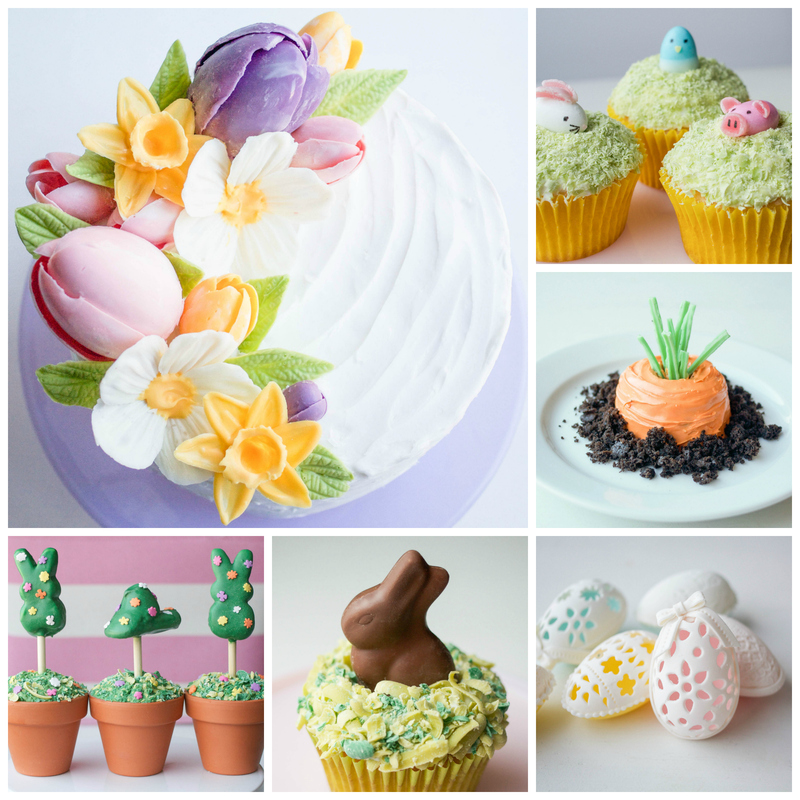 Carrot top mini cakes, edible Easter grass, and Peeps topiary cupcakes are perfect projects to make with little ones. They’re super cute and require minimal tools. If you’re looking for an Easter brunch shows-stopper, head for the eyelet & lace Easter eggs and chocolate daffodils. Easter candy critters fall somewhere in-between, perfect for the older kiddos looking for an uncomplicated project with a little more detail.